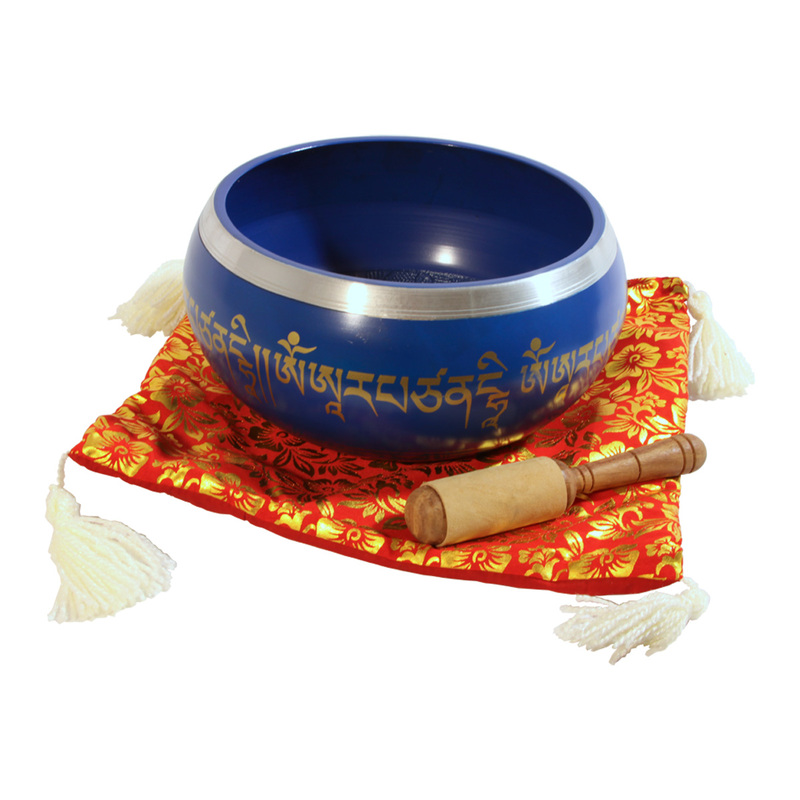 DOBANI 8 Inch Singing Bowl Aluminum + Mallet & Cushion Blue. Aluminum Black singing bowl includes wooden suede leather beater & Cushion. The opening is 8 inches. Singing bowls are played by the friction of rubbing a wooden mallet around the rim of the bowl to produce overtones and a continuous 'singing' sound. They are commonly used for meditation, relaxation, healthcare, personal well-being and religious practice.